I worked with Improv Everywhere to copy people’s handwriting LIVE for this video! Watch below and see what was going on behind the scenes! A mysterious and magical mail slot gives random New Yorkers the chance to instantly deliver a card and light up someone’s holiday. 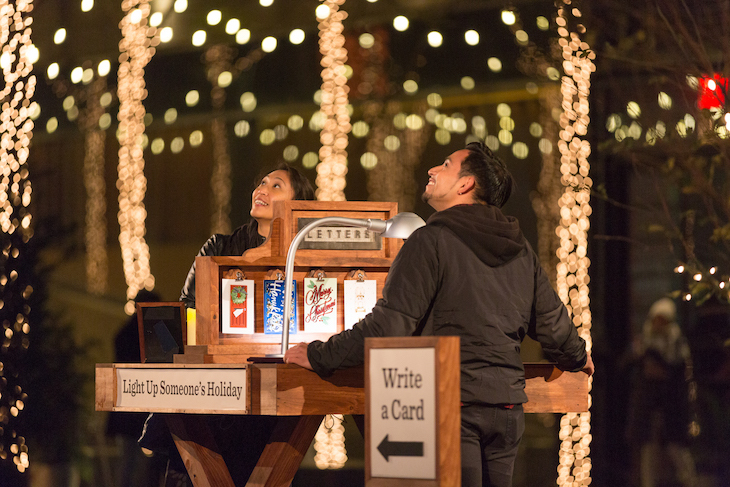 For our latest mission, we created a custom-built set that allowed random New Yorkers to instantly deliver a card and light up someone’s holiday. 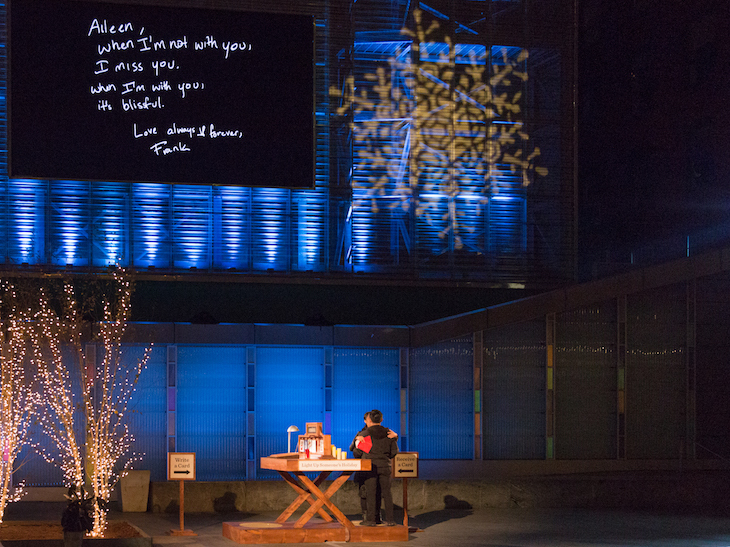 Participants were surprised as Christmas lights lit up the plaza and their message was displayed on a 30-foot wide screen above. This project is a collaboration with Hallmark, who provided us with an assortment of Hallmark Signature Cards for the project. This mission took place in Manhattan’s Big Screen Plaza, which really was custom built for an idea like this. As its name suggests, the plaza has an enormous screen. We were able to hide our cameras in the plaza’s event space on the 2nd floor, as well as on one of their roofs and in an office building across the street. 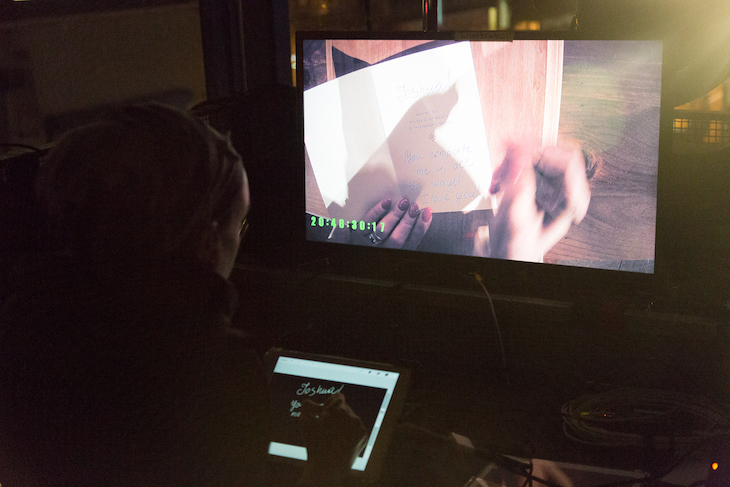 In our control room on the 2nd floor, we had an illustrator who was able to re-create the messages live in a close approximation of the writer’s handwriting. Improv Everywhere is a New York City-based comedy collective that stages unexpected performances in public places. Created in August of 2001 by Charlie Todd, Improv Everywhere aims to surprise and delight random strangers through positive pranks, or “missions.” Learn more here.